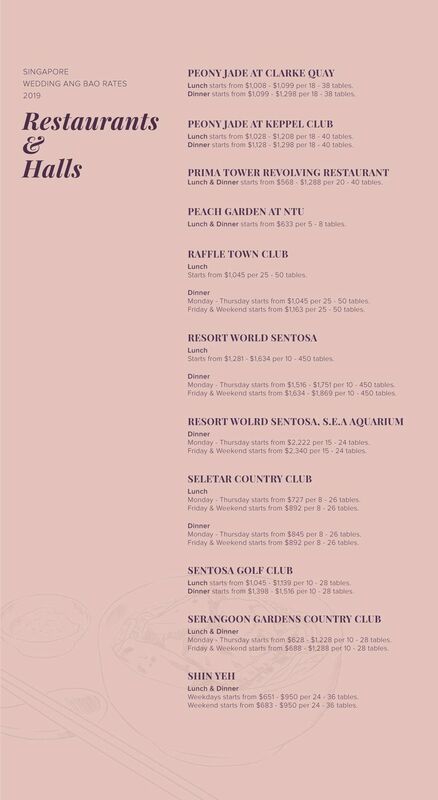 Are your calendar already marked with some wedding invitation dates? 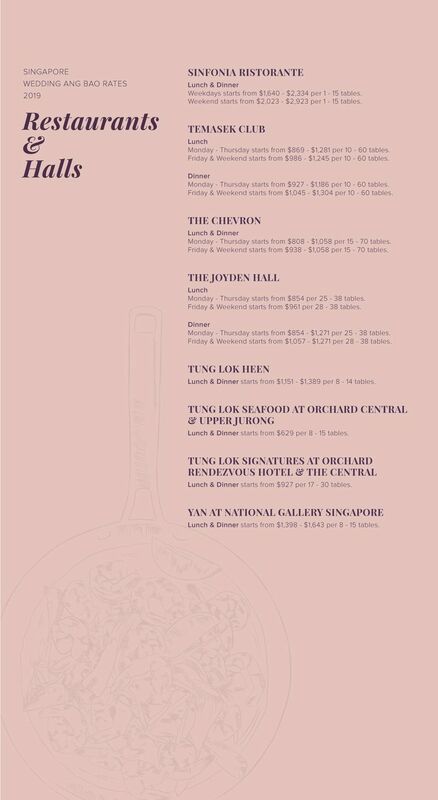 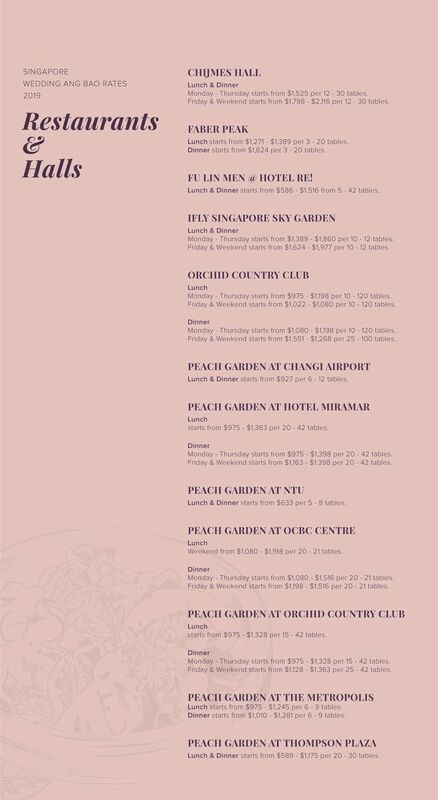 You might want to consider checking our 2019 wedding banquet price list to know how much you should put inside the red envelope. 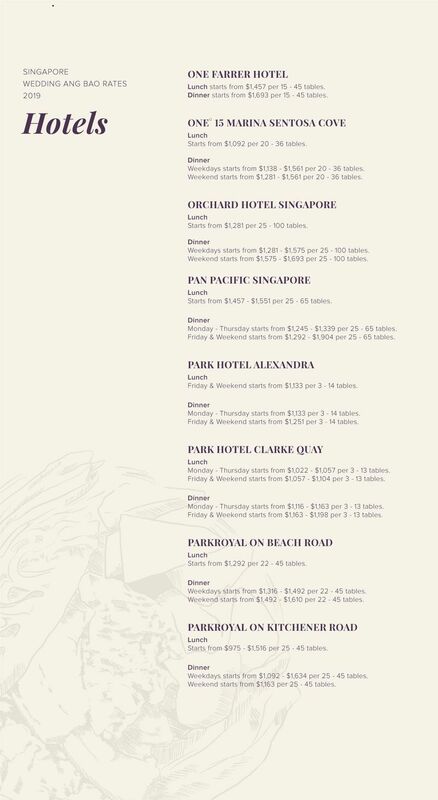 Your ang bao should be based on the average cost per person in one table. 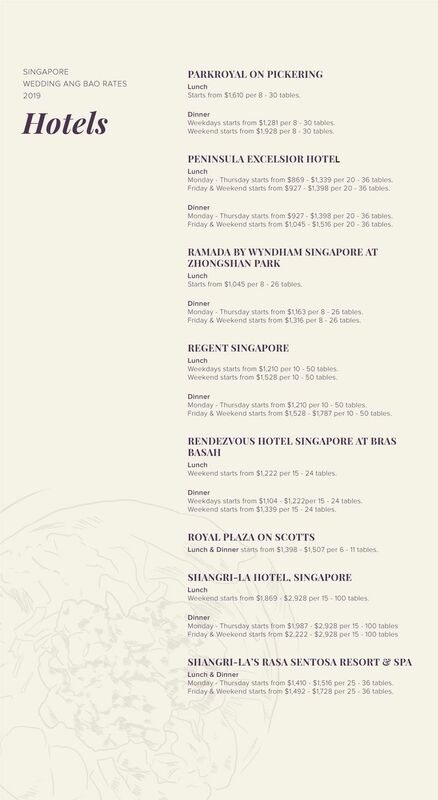 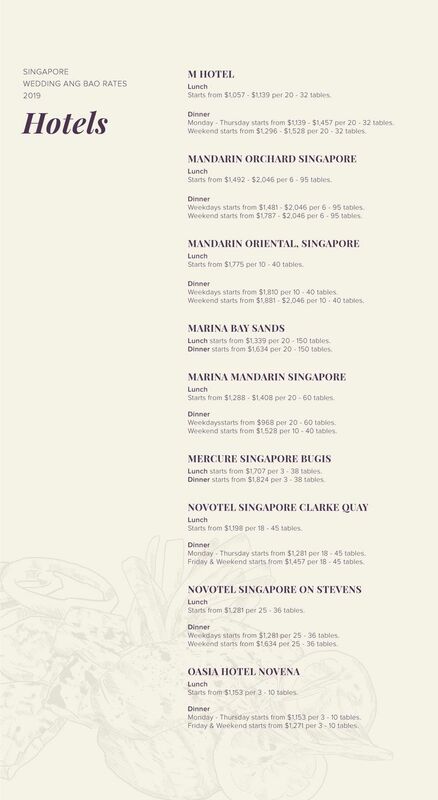 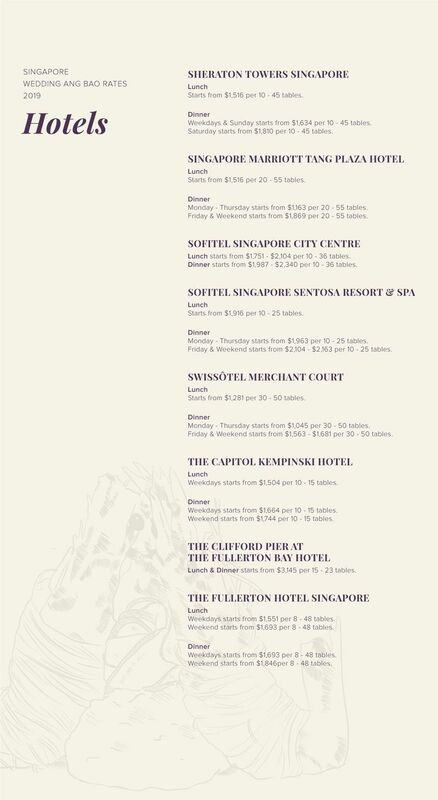 For example, if one table consists of 10 seats and costs $1,500 ( do not forget to include service charge and GST), thus your ang bao should be around $150. 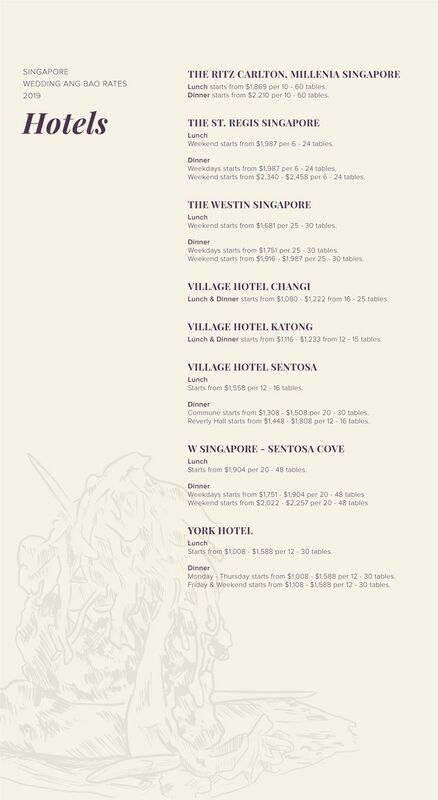 These prices are inclusive of service charge and GST where applicable. 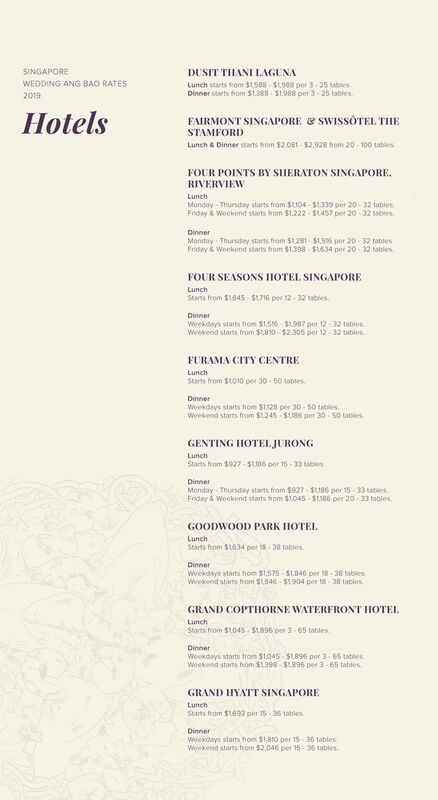 Prices are subject to change by the properties without prior notice and prices may vary depending on the booking time frame. 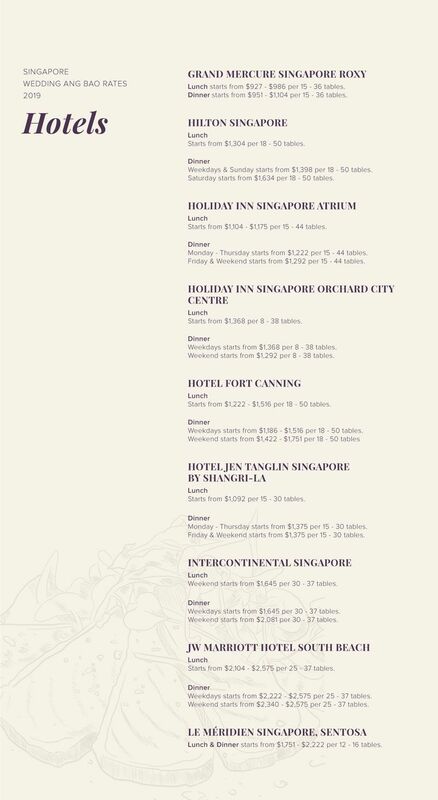 Bridestory will not be held responsible for any inconveniences caused due to the aforementioned. 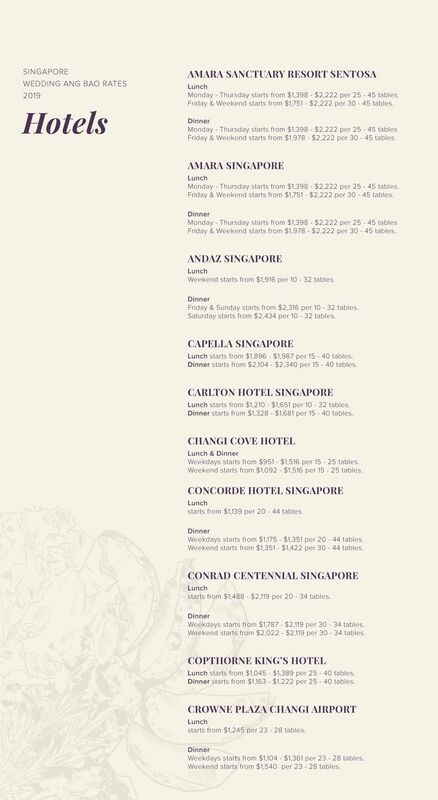 Prices last modified was on March 1, 2019.